IMCDb.org: 1936 MG TA Police in "Classic & Sports Car Film Collection, 1998"
Registration suggests a TA Midget (1936+), but I'm open to correction. @stronghold: almost every Midget from the PA to the TF saw police service, as did several of the larger saloon models. And the ZT-T! 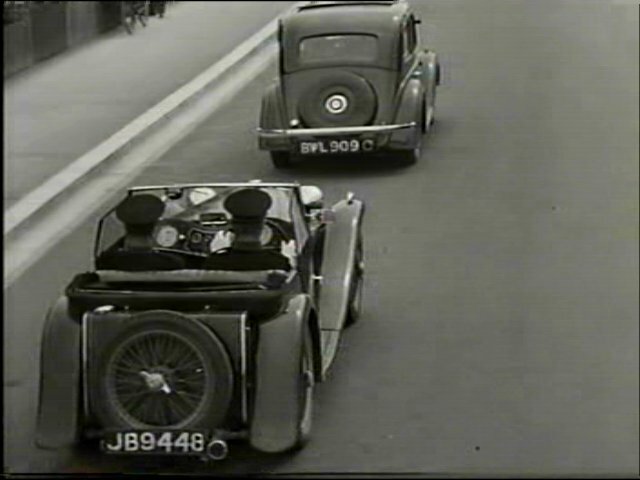 Mid 36 Berkshire plate - JB series completed Aug 36, so a very early car after July 36 launch.